Pannell Discussions » 283 – Whose environmental values matter? » Ideas in economics, environment, policy and more. 283 – Whose environmental values matter? One of my pet issues is how to decide which the environment projects should receive public funding. One of the factors influencing this decision is (or should be) the importance or value of the environmental outcomes that would be delivered. But whose judgements about importance or values should be taken into account? Environmental experts, such as ecologists, are crucial to decisions about environmental investments. We need their advice about threats to environmental assets, and about the effectiveness of different ways of managing them. However, they often also provide advice on priorities, which are, at least implicitly, value judgements. In my observation, many environmental scientists don’t appreciate how much of their own preferences and values they are injecting into this advice. This matters because studies have shown that the preferences of environmental experts are often rather different from the preferences of the general public (e.g. Seymour et al. 2011; Rogers 2013). The experts tend to be greener, and they emphasise factors that don’t matter as much to others. The general public’s views about the relative importance of different environmental outcomes should be considered because (a) they pay the bills and (b) this is a democracy. The way that economists tend to approach Benefit: Cost Analysis implies that values expressed by the general public are the only values that should matter in these decisions. I don’t agree with that because, like many environmental scientists, I think that the ignorance of the general public is an important consideration. 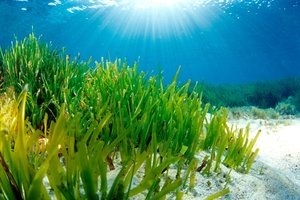 For example, people may feel that sea grass is not very important, but only because they are unaware of its contributions as a source of food and shelter for many marine organisms, or of its roles in stabilising the sea floor and maintaining water quality. Basing decisions on people’s expressed values could result in outcomes that they themselves are not happy with. At least some in the community are aware of their ignorance and feel that their own views are not sufficient to base decisions on (e.g. Clark et al. 2000). Finally, there are politicians. Ministers have more influence than anybody else in the determination of environmental decisions. In principle, their decisions should reflect community preferences and expert advice, and sometimes they do. However, their own preferences and values also impinge. For example, this was starkly evident in the Abbott government’s decision making about climate change. The INFFER framework (Pannell et al. 2012 – www.inffer.com.au) embodies a particular way to combine public and expert input when prioritising environmental projects. It’s not the only option, of course, but it does work quite well at bringing the values discussion to the surface. Posted on 21 September, 2015 by David Pannell. This entry was posted in Economics, Environment, Policy, Politics, Social issues. Hello David. I agree that asking people to value something they do not understand is a poor way to develop a valuation. I believe we need experts to help ‘translate’ potential environmnetal improvements into environmental endpoints that can be meaningfully valued by the general public. So for example, what species and to what extent would a seagrass rehabilitation project protect. .. where I am critical of choice modelling surveys which seek, for example, to elicit values on recycling despite the general public not being in a position to identify, let alone value, ultimate benefits. But if the surveys were directed at the ultimate benefits of recycling then useful valuations to help public policy could be attained. Thanks Drew. That’s a good insight. If we were able to work with the ultimate benefits that would deal with the problem. (Do you think it deals with all of the problem? Is there more to it than this?). Thinking about it, though, identifying the ultimate benefits would be very challenging in many cases. In my experience, environmental scientists have a pretty limited ability to identify and quantify all the ultimate benefits from an intermediate change, in most cases. They value the intermediate benefits partly because they are anticipating that there will be some additional ultimate benefits, but getting specific about those is another matter. Certainly a number of environmental valuations I have been involved with have been extremely challenging for the scientists. The threat of leaving it to the politicians the only thing ensuring their cooperation. Pushing the scientists to articulate at least the nature and possibly the broad level of ultimate benefits has greatly helped decision making. Not decimal point stuff, but otherwise inherent biases often result in investing in what is perceived as ‘important’ (by scientists) not necessarily where their is high investment ‘payoff’ (as considered by the broader community) – something I think you have canvassed in past Pannell Discussions. In many developing countries, politicians often act alone in implementing projects that eventually bring no benefits to the projects and to the communities. If we talk about my home state in Manipur(India), corruptions run in the institution. Projects are often given to unqualified contractor who in turn paid kickback to minister. And the contractor simply builds something with no quality controls. And we have non state actor who control vast areas of hinterland where the govt has no presence at all. And this non state actor are involved in illegal activies during polls with elected officials in voter intimidations and booth capturing. I wanted to know for a region like this, what is the best strategy? Hello Frank. In such cases, the rationalisation of public and expert values is clearly not the primary problem. The biggest issues seems to be getting government decision makers to act in a way that seeks to genuinely benefit the broader community, rather than line their own pockets. This is extremely difficult in situations where corrupt behaviour is deeply embedded in a culture. It needs strong, honest, determined leadership, and probably quite a lot of time, to achieve such a change. A transparent decision process might help to push things in the right direction. A tool like INFFER might help with this, but one should not be too optimistic about rapid improvements. Increasingly, I think it’s the public’s values that should be the primary determinant of action. I manage and communicate environmental water releases and am consistently surprised by the level of community engagement with environmental issues. Also, the process of communicating the links between ecological cause and effect helps us design monitoring and research programs that will resonate with the public and ultimately, elected representatives. this post is all about which environmental place should be given government funding and who should always be given protection. People everywhere have different prospective about this post and want that which is very important should be saved and should be given funding. They believe that green sea is not the very much important and should not be given any funding. From my point of view every environmental resource is very important and should be protected either by government funding or by the public because its our role also to save our environment.